With all the pollution in the air we breath and the toxins we unintentionally consume from preserved foods, more and more people are now realising the goodness of returning to traditional yet natural ways of living. Foods with no preservatives, fruit juices freshly squeezed, and organic goods directly harvested from the farm are much preferable than the instant meals available in groceries but are full of preservatives. People who want to live the life close to what nature entails do not stop by just consuming natural and organic foods and beverages. When the need comes for them to seek medical care, they find solace not with invasive treatments that use drugs but with the modality that puts into practice the concept of treating disorders via the natural way of diet control, nutrition, guided exercises, and manual massage. Natural therapy or naturopathy comes into place. Sadly, this medical modality has been sidelined as a mere alternative to mainstream medicine. Worse, it is sometimes viewed as a practice belonging to the realms of quackery and New Age beliefs. The latter concept is an exaggeration. Such perception may have been highlighted because of the haphazard ostentation of some unscrupulous conmen and self-proclaimed naturopaths. The thing is, there are mainstream medical doctors who integrate the principles of naturopathy in their practice and there are doctors who are now studying naturopathic medicine. In this article, we will elaborate how the qualifications and competencies of a naturopathic doctor differ from those of a naturopath. We define naturopathy as the system of medicine which bases its principles and treatments on the application of natural therapies of diet, nutrition, exercise, and massage while avoiding the use of invasive medication. It focuses on disease prevention and encourages the human body’s natural healing prowess. There are medical doctors (and they are many around the world) that combine the theories and applications of naturopathy with mainstream Western medicine. They do so, not because of hearsay knowledge, but because they are trained to practice both modalities. They are general practitioners with a medical doctorate degree seconded by additional schooling and specialisation on naturopathy. Medical doctors who have an accompanying training on naturopathy have an N.D. appended to their M.D. title. They are licensed to practice and apply naturopathy on the care of their patients. They will perform the usual treatments, provide medical advice, and prescribe the necessary medication. Say for example, a patient has been diagnosed with cancer. Naturopathic doctors, since they are licensed medical doctors, may recommend the patient to undergo chemotherapy, surgery, or radiation therapy – whatever is deemed best and necessitated by the diagnosis of the condition. However, doctors with training on naturopathic medicine do not stop with Western medicine alone. When the patient feels he/she is running out of options, the doctor can offer the support of naturopathy to maintain and enhance the quality of life during the treatments and procedures. Here is a caveat: Do not think that naturopaths have less competence and are less effective than naturopathic doctors. Legitimate naturopaths are professional practitioners with licenses and certifications. In fact, countries like Australia, New Zealand, and others in Europe have naturopaths who are certified, licensed, and whose practice is regulated by organisations and governmental bodies. Naturopaths are schooled in various levels of medical science and traditions. Not only are they trained on clinical therapies but also on Eastern principles of medicine. Some naturopaths will even go the length of studying Ayurvedic medicine. 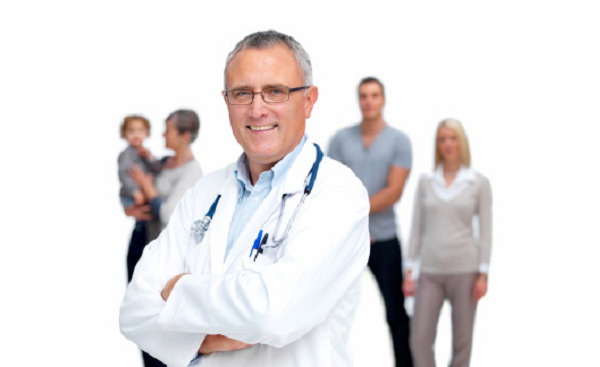 Ordinary lay people will normally label naturopaths and naturopathic doctors (NDs) as the same group of practitioners. In hindsight, there is probably no detrimental consequence of such perception. What we do not want is for people to see unschooled and self-proclaimed naturopathy practitioners who will defame a respected modality, pulling the legitimate naturopaths and naturopathic doctors into the level of quackery. Thanks for writing this! I visit your website pretty often and I always feel more intelligent afterwards. I shared this post on Facebook and my friends thought it was great too.